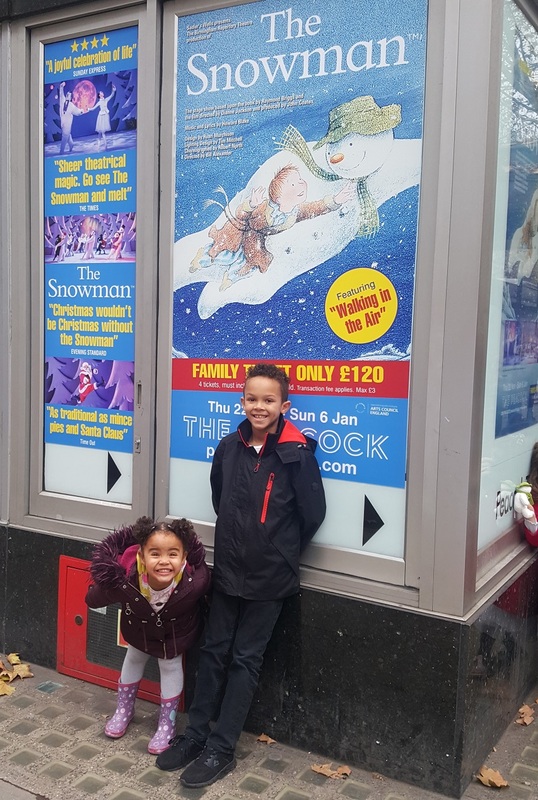 We saw The Snowman at The Peacock Theatre on Saturday 24th November. 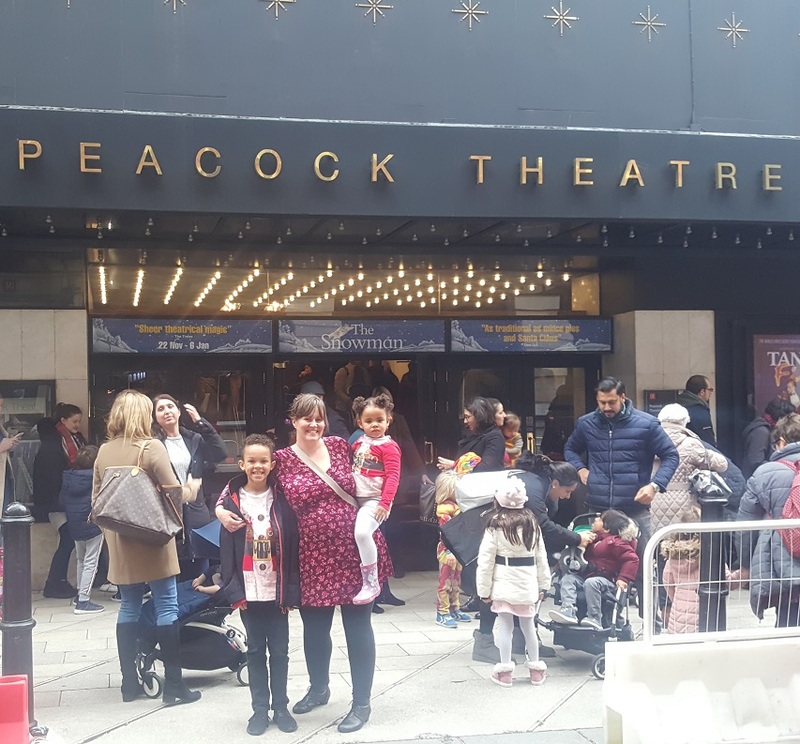 Lucky enough to attend the Press Show - it was truly magical, but then I knew this as we have been to see The Snowman before, taking 2 of our nieces, the difference being that Lottie was in my tummy at the time - in fact I was 7 months' pregnant and had a very large bump. Daddy didn't come last time so I was very looking forward to seeing it as a family of four. 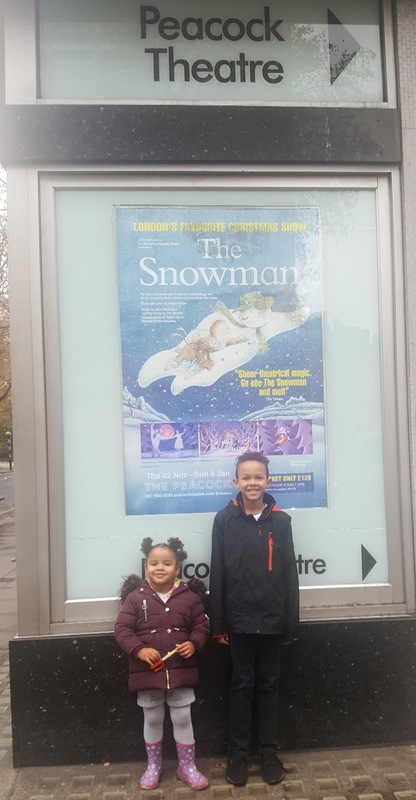 In the days leading up to the show, I literally couldn't wait to share the magic of The Snowman with Lottie and even as I started this blog post a week ago, she was glued watching The Snowman animation on YouTube as she's a totally signed up The Snowman fan now. There are lots of clips to get you excited: here! What good timing as this year The Snowman is 40! You'll recognise the classic The Snowman story from Raymond Briggs' book and the music score by Howard Blake, from the animation! What you get with the theatre production is the incredible ballet. Not only that but show stopping acting, costumes, music and set design. Until Jack Frost came on stage, the boy was by far Aaron's favourite character and I think it's mainly because of the sheer amount of dancing he does and we all know Aaron never ever stops dancing, whether it's Fortnite dances or just moving for the sheer sake of moving. It helped that the boy seems like he's aged 8, 9 or 10 so I think my Aaron could really relate to him. It's a show for all ages as it captivates the audience in a trance and even my hard to impress husband didn't fidget once! In fact I looked around a few times as I was dying to see how RocknRollerBaby's Raffie at only 1 years of age would react to the show but he was totally in the zone with eyes glued on stage. This is proof positive that the show is at a pace that doesn't disappoint. 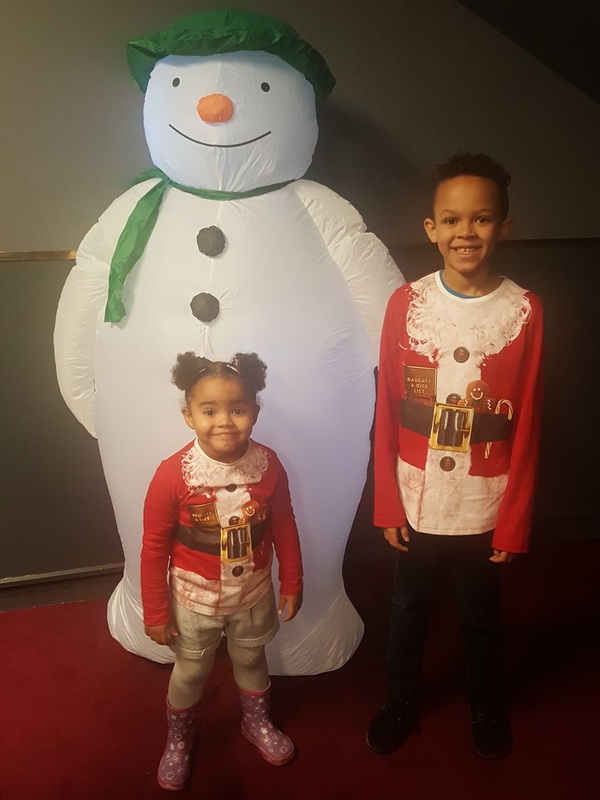 They're on the way in below and not nearly as excited and full of fun as they look on the way out after getting The Snowman treatment! There's something magical about live theatre that is hard to beat. Despite us reviewing this as guests of the theatre I would hand on heart say it is worth every penny of the ticket price. we saw which meant the atmosphere was electric or in turn very hushed during emotional scenes like when The Snowman became a puddle. What I will tell you is EVERYONE had children with them and a lot of them very young, so much so that there was a huge buggy park, yet there wasn't once where I felt the show was disturbed by tantrums, yelling or crying. Nope! 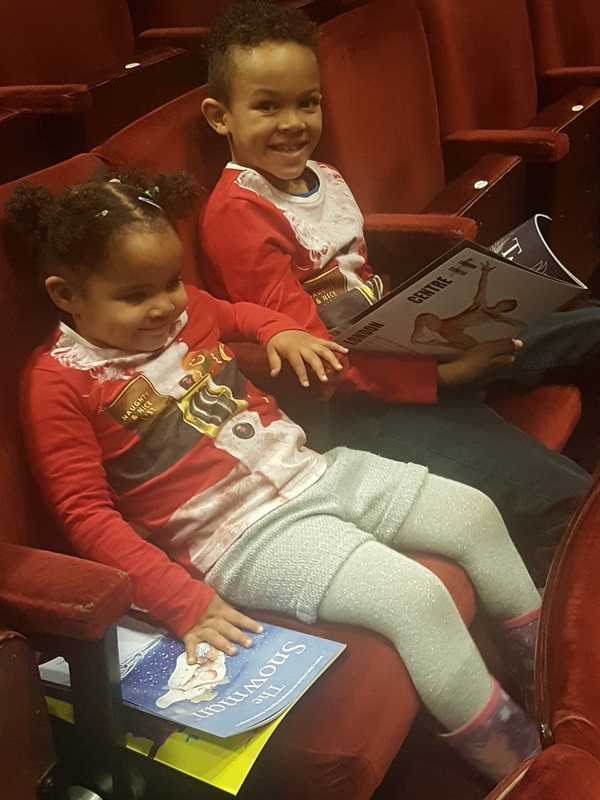 These were mesmerised captivated happy children who very much enjoyed the show they'd come to see. I'm sure we all left feeling full of festive cheer. 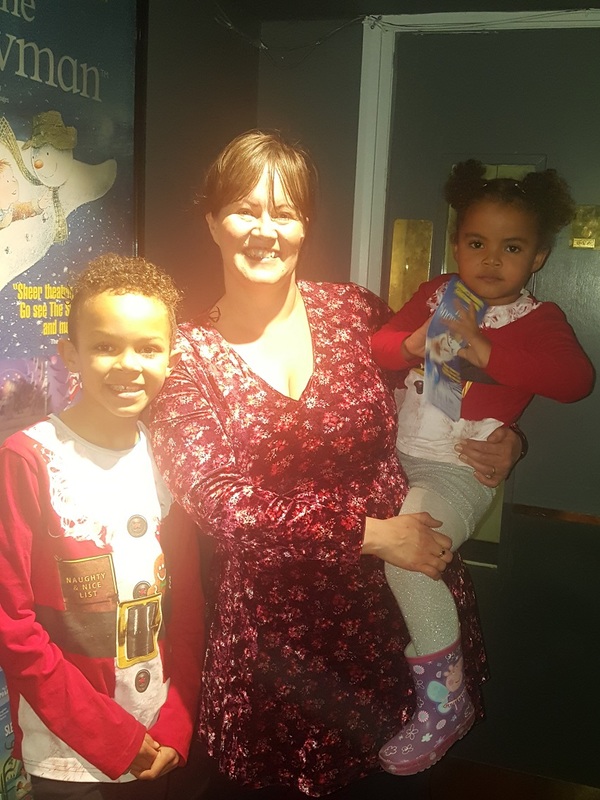 I know my heart was full to bursting when I left there and the show officially opened Christmas 2018 for me, well I must say for us as all 4 of us enjoyed it and that's despite Aaron being reluctant and Daddy normally being hard to impress. I was so busy worrying about everyone else that I think they were actually even more absorbed in it than me. And thankfully Aaron had forgotten a lot of what he saw Christmas 2015 so there were many bits he thought he was watching for the 1st time, like the fruit dancing and Jack Frost who he was gripped by! I do think that ballerina Princess has a case for Me Too with all of Jack Frost's unsolicited advances. Thank God The Snowman was there to protect her. as the mood of the show is entirely different before and after the Interval. The 1st half climaxes with the Walking in The Air dance and song we all know and love and is the conclusion to the moving story of how the boy and The Snowman get together. The second half includes lots of high energy dancing and Santa himself and feels like it has more of an upbeat kind of panto atmosphere, so there is certainly something for everyone. The two of them were on a high after the show and we all felt warm, snuggly, festive and full of heart. Good, fun festive theatre just what you need. I much prefer it to panto if I'm honest. We saw the show as guests of Sadlers Wells.